Argentina’s Lionel Messi has won the FIFA best player of the year 2011 award for the straight third time thereby registering his name as the only player in the history of FIFA to get three back to back awards. Messi won the award beating his club teammate Xavi Hernandez and Cristiano Ronaldo of Real Madrid to the game’s most prestigious individual honor. Messi received 47.88 percent of the points in votes cast by national team coaches and captains plus invited journalists. They chose from an original shortlist of 23 players. Cristiano Ronaldo finished second with 21.6 percent and Xavi got 9.23 percent to finish third for the third straight year. “This one is very special because I want to share this with my friend and teammate Xavi . 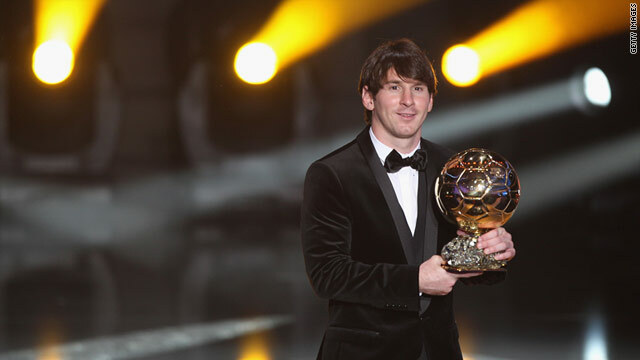 He deserves it,” Messi said. Previous: US Marriage drop rate on a Record High!